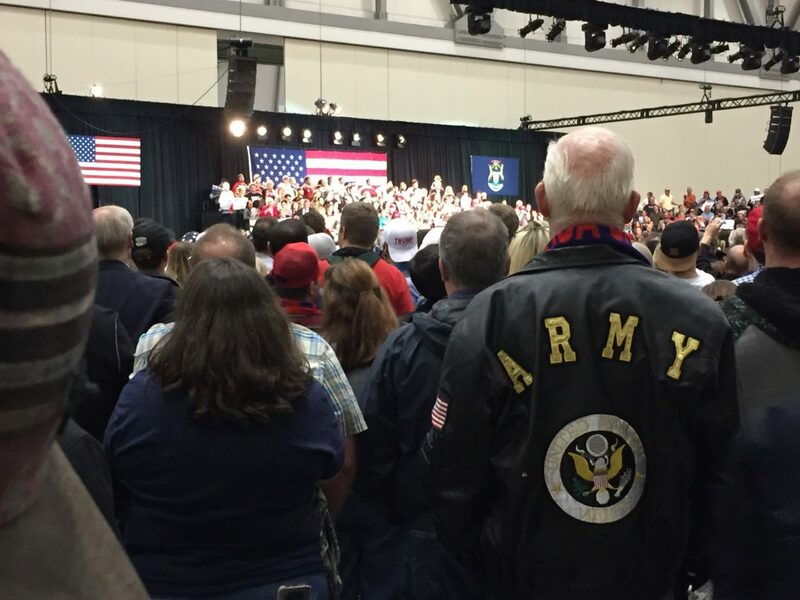 GRAND RAPIDS, Michigan — Republican presidential nominee Donald Trump and vice-presidential nominee Mike Pence concluded their 2016 campaign with a massive rally after midnight on Election Day in this most unlikely of locations. 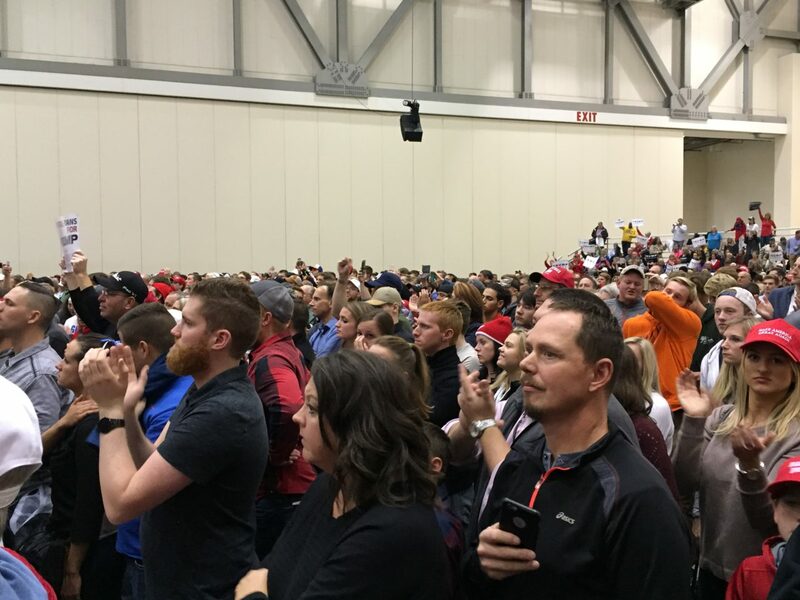 Police informed Breitbart News that the estimated attendance at the rally at the Devos Place convention center — where Trump only took the stage after 12:30 a.m — was 6,000 people. 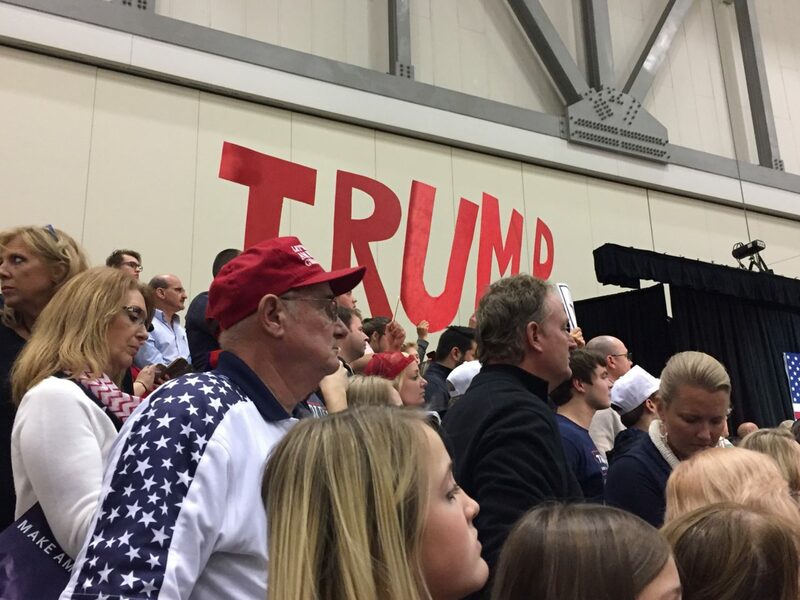 Trump noted that the rally, originally scheduled for 11:00 p.m. on Monday night, was actually taking place on Election Day itself — November 8, 2016. “Today,” he said, “we are going to win the great state of Michigan, and we are going to take back the White House.” The crowd roared. But it is a calculated gamble — namely, that Trump will be able to flip Michigan, and perhaps other traditionally Democratic states, thereby overcoming the firewall that has frustrated Republican ambitions for the Oval Office in recent elections. Michigan casts 16 votes in the Electoral College. In his address, Trump hit many of his usual campaign points, focusing in particular on stopping jobs from leaving Michigan for Mexico and other foreign destinations. He mentioned, as he has throughout the past several weeks, the recent decision of Ford to move its production facilities to Mexico. At one point, there was a minor disruption as four young women in Hillary Clinton T-shirts formed a circle at the edge of the rally, held hands, and chanted “Hillary! Hillary!” before being escorted out by police. Many of those in the hall had brought their children with them. Sue, from Northwest Indiana, brought her daughter Rediet along to the rally to learn about the political process. She said that Trump had not been her first choice — she preferred Dr. Ben Carson in the Republican primary — but that she could never vote for Hillary Clinton. Her daughter, she said, had “voted” for Trump in a classroom straw poll, when many of the other children had chosen Clinton. “I’m just praying — whatever happens, God’s in control,” she said. 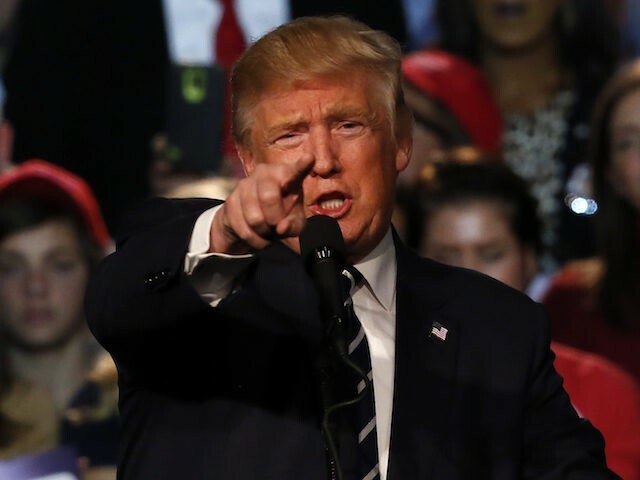 Trump’s Michigan rally came at the end of a five-rally sprint that began in the morning in Florida, and continued through North Carolina, Pennsylvania, and New Hampshire before concluding in Grand Rapids. Afterwards, the Trump campaign staff and the press boarded their planes to return to New York City, where Trump will vote tomorrow, and where both Trump and Hillary Clinton are holding victory parties.